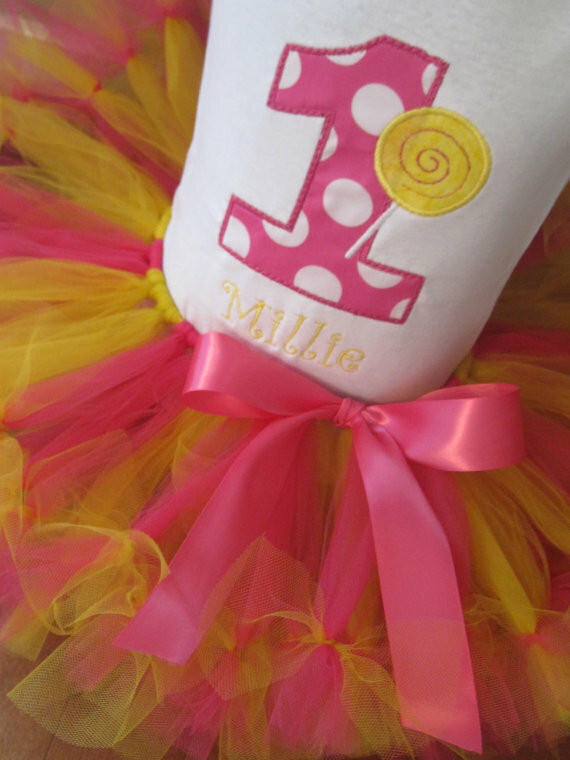 Your little girl will look tutu cute in this personalized pink and yellow lollipop petti Tutu set outfit great for birthdays or any occasion! 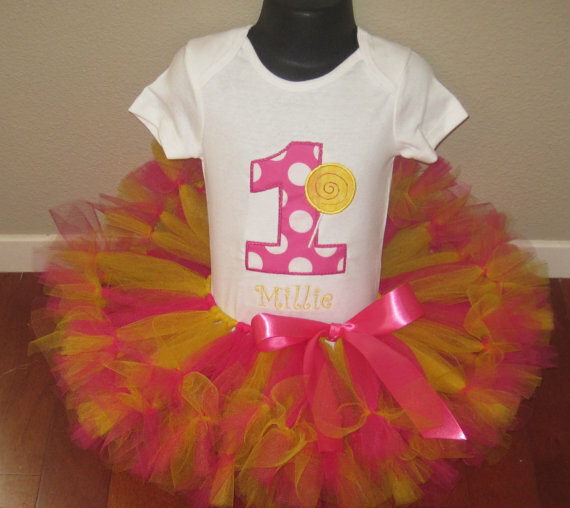 This adorable birthday set includes one shirt or onesie with the birthday number and a lollipop, and your childs name included! Paired with a very full petti style hot pink/yellow tutu &hot pink satin ribbon bow embellishment!